Living & Dining room seating. Same durable Jess Crate yellow pine construction. Replacement cushions are available for all Jess Crate seating. Dimensions: 33″ x 56″ x 30.5″ Proudly introducing our Contempo Seating options. Aesthetically pleasing, and specifically designed for durability & comfort. 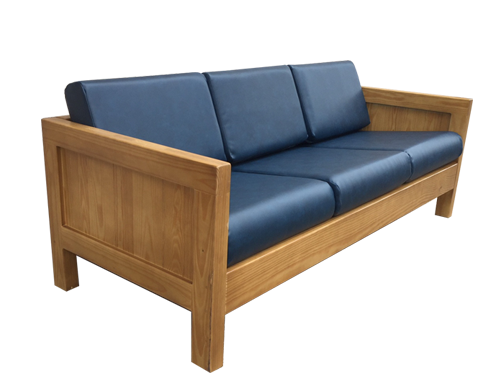 Dimensions: 33″ x 56″ x 30.5″ Contempo style seating with the quality & durability you expect from Jess Crate. Proudly introducing our Contempo Seating option. A fresh new crate chair design with the same sturdy yellow pine construction trusted for over 35 years.